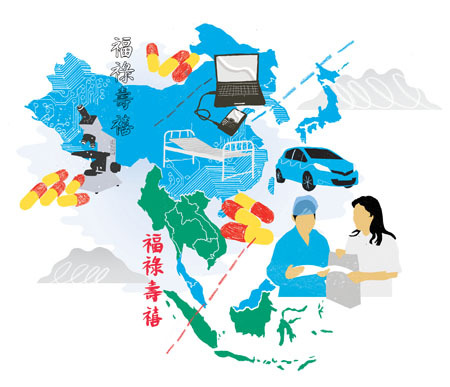 Despite global financial chaos, the prosperity of the Tiger economies of south east Asia in the healthcare and electronics sectors continues unabated. Japan’s industrial production is on the rebound from the earthquake, but Taiwan’s trade reach an all-time high in 2010. Integrated circuits, micro-electronics and pharma have become mainstays of China's economy and its growth rate remains one of the highest in Asia. Malaysia has, since independence, had one of the best economic records in Asia, and the country still makes more than 70% of the world’s rubber gloves. The economic growth in SE Asia has heavily influenced global business strategy in recent decades, with western companies focusing their investment on the Tiger economies (Hong Kong, South Korea, China and Singapore). Neighbouring Japan has had its strong development somewhat curtailed by the massive earthquake, but it is recovering fast. SE Asia’s relatively cheap, less regulated labour force and growing consumer expenditure make it a promising location for new business, particularly pharma, biotech and healthcare. The semicon, electronics and flat panel sectors are setting up r&d sites for advanced technologies as well as manufacturing facilities for LCDs, LEDs and solar panels. With prosperity comes better healthcare and health reforms. As a result, the region is also seeing new hospitals and rising medical expenditure. Each country in the region, however, has its specific strengths and weaknesses. Japan’s industrial production is on the rebound from the 9.0 magnitude earthquake on 11 March 2011. The subsequent tsunami that flooded Japan’s northeast coast displaced thousands of people and inundated the Fukushima nuclear power plant. The scale of the event caused Japanese production to falter as companies suffered power shortages, damaged infrastructure and interrupted supply chains. The Japanese government ordered major firms to cut peak electricity use by 15% up until September, as most of the nation’s nuclear reactors remained offline. Despite this, the ministry expects output will continue to rise in the latter half of this year. In 2010, Japan had the world’s third-largest economy, after the US and China, by nominal GDP and by purchasing power parity. It was also the world’s fourth-largest exporter and fourth-largest importer, its main exports being transportation equipment, motor vehicles, electronics, electrical machinery and chemicals. It was the leading contributor to the semiconductor market, with a share of 16.9%, followed by North America with 16.7%. The country is also a leading nation in scientific research, particularly technology, machinery and biomedical research. According to US-based Battelle Memorial Institute, Japan has the third- largest r&d spend (US$144.1bn in 2011) after the US and China. The quake, however, led to a run of mixed results from Japanese companies this summer, and many of its multinationals are affected by wider market turmoil. Leading manufacturer of electronic and electric products Panasonic saw consolidated group sales for the first quarter decrease by 11% to ¥1,929bn (€17.4bn); Toshiba Corp, the world’s No 2 maker of flash memory chips and supplier of NAND type semiconductors to Apple, said quarterly operating profit fell 88%, but it managed to offset lost business with an operating profit of ¥4.12bn (€37m) in April–June; but Samsung Electronics saw profits down by 26%. 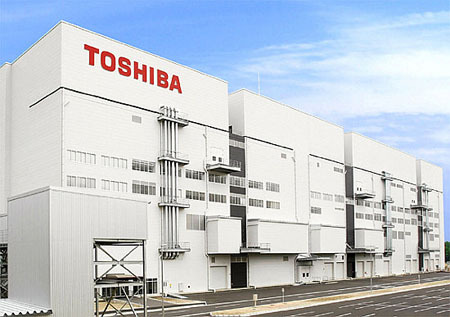 In keeping with semiconductor industry fast-track construction techniques and schedules, Toshiba and manufacturing partner, SanDisk have officially opened their third 300mm wafer NAND flash fabrication facility at Toshiba’s Yokkaichi Operations in Mie Prefecture, Japan, dubbed Fab 5. The jv partners said that volume production started in July 2011, having begun construction of the new facility in July last year. According to Toshiba, Fab 5 incorporates advanced earthquake-absorbing structures and integrates multiple power compensation techniques for protection against unexpected disruptions. With a floor area of approx 187,000m2, Fab 5 is considerably larger than Fab 4, which was one of the largest 300mm fabs ever built. New vehicle sales in Japan have been hit hard by production disruptions from the earthquake. In the first quarter, Toyota’s sales fell by 37% while Honda dropped 33.2%. Nissan, which was less affected by the March earthquake and tsunami, fared better with a 17.6% fall. Production by Japanese carmakers is recovering faster than expected; South Korean producers Hyundai Motor and Kia Motors, meanwhile, have capitalised on events, increasing their sales. A more promising market is the medical device sector, expected to be one of Japan’s main growth industries. Market estimates give Japan’s medical technology market a value of around $32bn (€22.3bn), roughly 10% of the global market. It is the third- largest medical device market in the world after the US and the EU, having doubled in size during the past 25 years. While the market share of domestically made devices has been largely flat, imports have soared, creating a medical trade deficit of $7bn (€4.8bn). The country’s health services are relatively well appointed. Payment for personal medical services is offered through a universal health insurance system that provides relative equality of access, with fees set by a government committee. People without insurance through employers can participate in a national health insurance programme administered locally. The Japanese have traditionally had a strong presence in chemicals and have been building their pharmaceutical market base with some surprising new entrants. Fujifilm recently signed a memorandum of understanding with Indian drugmaker Dr. Reddy’s for an exclusive partnership in the generic drugs business for the Japanese market. The firm also plans to establish a jv in Japan in which Fujifilm would have a 51% stake and Dr. Reddy’s the rest. The new company is expected to develop and manufacture generic drugs using Fujifilm’s quality-control technologies built through its photo film business. Japanese companies are also investing outside the country, in turn, helping the economy of countries such as Korea and Taiwan. JSR Corporation, for example, has announced that its subsidiary JSR Micro Korea has completed construction and will start operation of a new research laboratory. The facility enhances the r&d function of liquid crystal display (LCD) materials, which are manufactured and sold at JSR Micro Korea. The new lab and cleanroom will enable product development to be undertaken locally. In terms of cleanroom trade associations, the Japan Air Cleaning Association (JACA) is affiliated to the ICCCS. Of the four Tiger economies, South Korea was one of the few developed countries to avoid recession during the global financial crisis, and its economic growth rate reached 6.2% in 2010. The country has a major LCD panel market and is home to the world’s No 1 and 2 manufacturers. The Korean semiconductor market is also strong and expected to exceed $50bn (€34bn) by 2013, according to Renub Research’s report Semiconductor Industry Market Analysis & Future Trends Worldwide (2010–2013). Samsung Mobile Display saw the recent completion of the world’s largest Active Matrix Organic Light Emitting Diode (AMOLED) screen production line in Tangjeong, Korea. Construction began in June last year. The new line uses glass substrates that are three times larger than the previous generation plant, which means enhanced productivity and improved cost competitiveness. A new high growth sector for this region is biotech. Samsung Biologics, headquartered in Seoul, broke ground on its new biologics manufacturing plant in Songdo, Incheon, Korea in May 2011. A jv between Samsung Electronics, Samsung Everland, Samsung C&T and Quintiles Transnational, the new facility is scheduled for completion by 2012 with operations expected to begin by early 2013. Spread over 69,000m2, it is designed for multiproduct operations and houses a cell culture hall, an r&d lab, an upstream suite, a downstream suite and a fill and finish suite, besides warehousing and admin. Taiwan’s dynamic capitalist, export-driven economy saw its total trade reach an all-time high of $526bn (€363bn) in 2010, according to Taiwan’s Ministry of Finance. Both exports and imports for the year reached record levels, totalling $274bn and $251bn, respectively. The area is attracting foreign investment, with companies capitalising on the Taiwanese strength in the semiconductor industry. According to the InvesTaiwan Service Center (ITSC), Sumitomo Electric Industries has built an NT$130m (US$4.5m) plant in northern Taiwan’s Taoyuan County for producing steel wires used in the making of silicon wafers. Also investing in Taiwan is Fujimi Inc, which supplies synthetic precision abrasives for silicon wafers worldwide. Hi-tech industrial parks have sprung up throughout Taiwan, catering for technologies such as biotech, nanotech, communications, computers and displays, semiconductor device fabrication, smartphones, TFT-LCD, and photovoltaics. According to Yio-wha Shau, general director of the Biomedical Technology and Device Research Laboratories at Taiwan’s semi-official Industrial Technology Research Institute (ITRI), since the Economic Co-operation Framework Agreement between Taiwan and China took effect, biotechnology companies from abroad have been looking to establish links with Taiwan companies in an effort to access the Chinese market. Mainland China’s manufacturing sector, meanwhile, is quickly moving up the value chain. Where once it produced poorly made clothes and plastic toys, its factories are now manufacturing sophisticated electronics and machinery. In recent years, integrated circuits, micro-electronics and pharma industries have become the mainstay of its economy. China's growth rate remains one of the quickest in Asia, but as inflation starts to rise analysts are worried that too much of this growth is from investment rather than consumer spending. China Star Optoelectronics Technology, a subsidiary of TCL, was aiming to start mass production of flat panels at its 8.5G TFT LCD flat panel production line in Shenzhen, China in October, and an 8.5G flat panel plant of China-based BOE Technology began mass production earlier this year. However, there are now rumours of oversupply of flat panels, with fellow flat panel companies in Korea and Taiwan said to be lowering their capacity utilisation rates. The Innovative Plastics unit of SABIC is adding dedicated compounding production lines for its Lexan polycarbonate (PC) resins and films in Shanghai in early 2012. The company is also adding an extrusion line of Lexan PC optical quality (OQ) and textured film products to its Nansha facility, with subsequent capacity additions in Asia planned for 2012–2014. 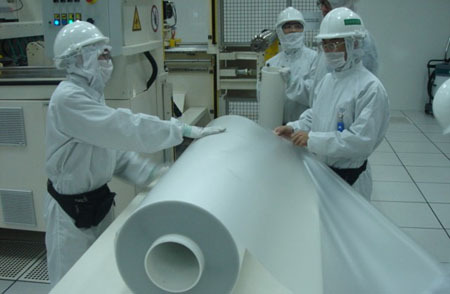 This specialist film line, which opened in the first quarter of 2011, uses class 1,000 cleanroom technology to produce Lexan OQ optical performance film. China’s r&d spending is scheduled to rise to 2.2% of GDP in 2015, from 1.7% in 2011, with a focus on specific emerging fields, such as nanotechnology, clean energy and stem cell research. Alongside this investment focus, there has been a serious effort to build up China’s scientific infrastructure in the form of new research labs and institutes. However, its culture of top-down obedience and corruption could be a hurdle for China’s scientific standing. Despite problems with inadequate IP protection, failings in quality assurance and criminal product adulteration, Western companies are investing in manufacturing output in the region. A prime example is Boston Scientific Corp, which has approved a five-year, $150m (b104m) investment in China to expand its commercial presence in what it sees as one of the world’s largest and fastest-growing medical device markets. China is now the world’s third-largest pharmaceutical market and is expected to grow by 25–27% to more than $50m this year, according to healthcare consultancy IMS. China is also expected to surpass Japan to become the world’s second-largest medicine market, after the US, by 2016. A new report from companiesandmarkets.com says that in Asia-Pacific the API market is likely to increase at a rate of 9.6% p.a. between 2010–2016, following growth of 6.7% p.a. between 2005 and 2010. In terms of revenue, Japan and China are the highest contributors to the API market in Asia-Pacific, with 42.8% and 20.8% respectively, while South Korea holds an 8.1% share of the market. Boosting its pharmaceutical industry forms part of China healthcare reforms under the 12th Five-Year Plan (2011–2016). The Chinese government recently announced its decision to increase spending on healthcare by 16.3% this year to around $26bn (€18.1bn). It also announced plans to invest $750m to build capacities in pharma ingredients for supply to drugmakers in other countries. Most Big Pharma companies have established bases in China and many are expanding. Novartis announced in 2009 that it would invest $1bn in r&d in China over five years. This included a significant expansion of the Novartis Institute of BioMedical Research in Shanghai. Novartis also invested $250m in a new global technical centre in Changshu to develop and manufacture APIs. In March this year, the drugmaker also increased its presence in the Chinese vaccine market by acquiring an 85% stake in Zhejiang Tianyuan Bio-Pharmaceutical Co. In January, Pfizer announced a jv with Zhejiang Hisun Pharmaceuticals to manufacture high quality branded generic drugs and is exploring business opportunities in China with its top distributor, Shanghai Pharmaceutical Co.
China is also looking to make major healthcare reforms. In July, a new Chinese body was charged with overseeing the operation of Beijing hospitals. Following the examples set by four other Chinese cities, Beijing has established a Hospital Authority responsible for completing a variety of tasks called for in the plan to reform the city's medical system. The 60 members of the authority will be charged with supervising 22 prominent hospitals and ensuring that they are following government policies. It will also appoint chief executives to such places and purchase medical equipment for them. Beijing is the fifth Chinese city to set up such a hospital authority. Hong Kong was the first, followed by Shanghai, Wuxi in Jiangsu province, and Chengdu, capital of Sichuan province, in 2010. Alongside its industrial success, China has the fastest growing cleanroom market. Market research company Mcilvaine forecasts that in 2011 the market for cleanroom consumables will be $429m (€296m). The country also boasts Asia’s largest trade show in the cleanroom field. The Cleanroom (CR) exhibition, organised by Suzhou Glory Exhibitions Co, is supported by several of the country’s cleanroom-related societies and will take place on 26–28 October 2011 in Shanghai World Expo Theme Pavilion. China also has its own Chinese Contamination Control Society. More and more Western cleanroom companies are setting up jvs or sales offices in China to capitalise on the country’s future growth. Most recently, Lonza set up a facility in China’s eastern Jiangsu province to service the company’s microbial control customers. Mach-Aire, a UK designer and manufacturer of extraction systems, cleanrooms, isolators and powder containment systems, is operating a jv with its trading partner Shanghai Tech Labway in Shanghai, and Howorth Air Technology, a UK supplier of containment and infection control systems, has opened a regional headquarters that will service all of SE Asia. Global touch screen manufacturer, Touch International, has opened a new touch screen manufacturing facility in Shenzhen, China, as part of the company’s $10m (€7m) expansion. 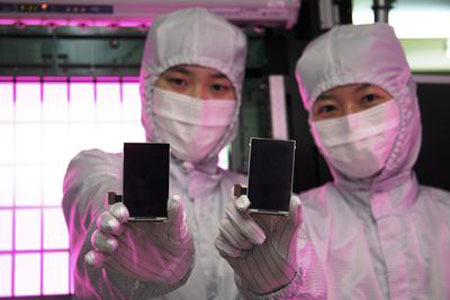 Featuring a vertically integrated system that will expand Touch International’s manufacturing capabilities and streamline production, the Shenzhen factory is equipped with cover glass, LCD and touch screen module (LCM) assembly sections that will complement its high-volume projected capacitive and resistive touch screen segments. 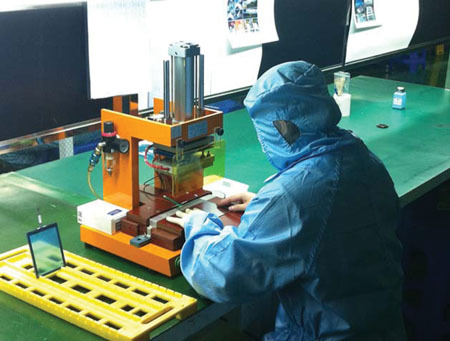 Having undergone cleanroom testing and equipment qualification, the new factory began operations in May 2011. However, future growth may be curtailed as China’s cost advantage is under threat. According to Asia-focused investment and advisory firm Intercedent, rising wages and an expected increase in the value of China’s currency means that mid-tier manufacturing wages in China will reach parity with minimum wage levels in the US by 2017. Minimum wage costs have risen by an average of 23% in China over the past year. The fourth Tiger in the pack, Singapore, is rated the most business-friendly economy in the world. Manufacturing constituted 27.2% of Singapore's GDP in 2010 and includes significant electronics, petroleum refining, chemicals, mechanical engineering and biomedical science sectors. The five million people that live in Singapore benefit from one of the most efficient healthcare systems in the world, even though health expenditure is relatively low for developed countries. Public hospitals in Singapore have autonomy in their management decisions and compete for patients. According to the World Health Organisation, in 2008 31.9% of healthcare was funded by the government and that accounts for approximately 3.5% of Singapore’s GDP. This future investment in healthcare is a major draw for some cleanroom-related companies. More than 40 new hospitals are to be built in Singapore and Malaysia over the next five years, and Singapore alone has more than 50 pharma manufacturing facilities, which means the region is an ideal market for hospital suppliers. Life science company Lonza is investing CHF10m (€8.7m) to expand its bio-pharmaceutical development services in Singapore. The expansion in Singapore will consist of an additional 1858m2 of lab space and will support cell line construction, upstream and downstream process development, and a broad range of analytical services. The facility is expected to come on-line in the first half of 2012. Not one of the Tigers, but a country of similar stealth, Malaysia has, since independence, had one of the best economic records in Asia, with GDP growing on average by 6.5% for almost 50 years. The economy has traditionally been fuelled by its natural resources, but is expanding in the sectors of science, tourism, commerce and medical tourism. The country is a large exporter of semiconductor devices, electrical goods, and information and communication products; however, r&d spending is relatively poor compared with the other countries. The Technology Park Malaysia (TPM) is one of Malaysia’s advanced centres for r&d, currently in phase one of implementation. Its total land area of 750 acres (3km2) comprises 12 buildings. According to deputy international trade and industry minister Datuk Mukhriz Tun Mahathir, foreign direct investment is expected to be in the region of $10bn (€6.9bn) this year. Among those investing, Infineon, the European chipmaker, is planning expansion, including another 200mm process cleanroom at its Kulim, Malaysia site. It will also use a cleanroom it bought in May from Qimonda for mass manufacturing devices on 300mm wafers. Mention of Malaysia cannot pass without a look at its glovemaking industry. Although its traditional rubber plantations are in decline, the country still makes more than 70% of the world’s rubber gloves. The Malaysian companies Top Glove and Supermax Corp are the world’s No 1 and No 2. However, with the recent spike in latex prices, Top Glove is looking to produce more nitrile gloves. Its new factory in Klang, F21, which has 16 lines producing nitrile gloves, is up and running. Two additional factories, F22 and F23, are to be completed by October 2011 and March 2012 respectively and will also house nitrile glove production lines.